The main valley of Andorra with many ski chalets. 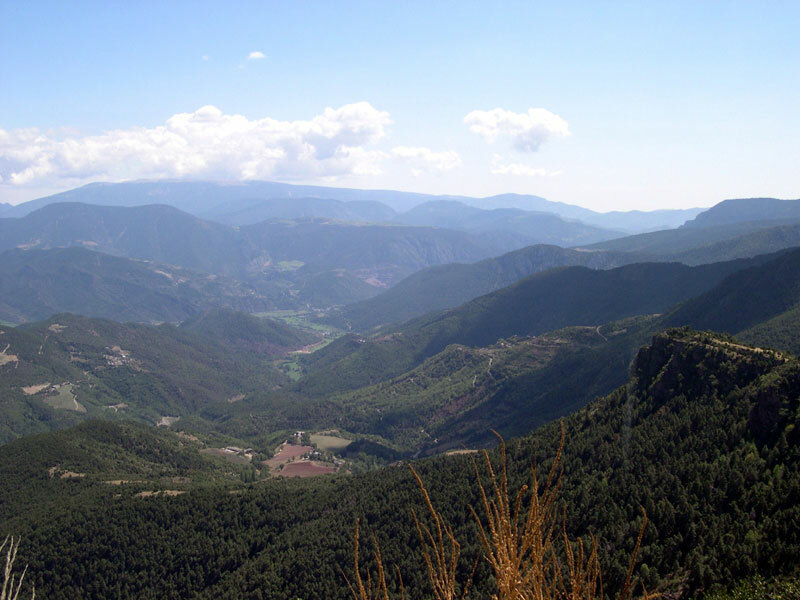 This was taken from the road to Ordino. Note the little hairpin in lower left corner, that's the road. This is looking into the R. Valira dell Orient toward Ordino. 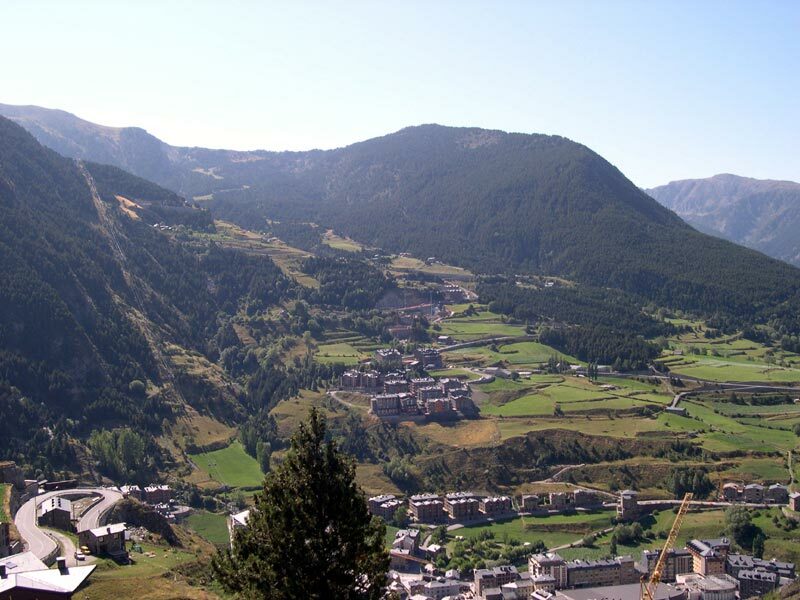 This minor valley in Andorra is much less congested than the touristy main valley.